The Temporary Loop takes shape. Now that the 2015 Holiday Show is finished, we can finally get back to work on the layout. The finished loop. Happliy we were able to get a 28" radius on the S-curve to connect up the Jersey City eastbound and westbound tracks. 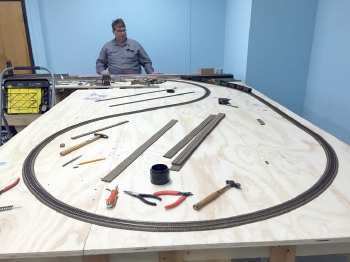 This will allow us to loop a train on the layout. Another view of the extension with the temporary loop. 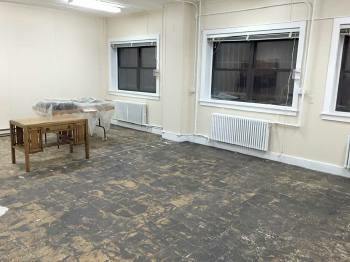 Meanwhile, over in the Museum room, painting has just finished up and we removed all the old floor tiles. 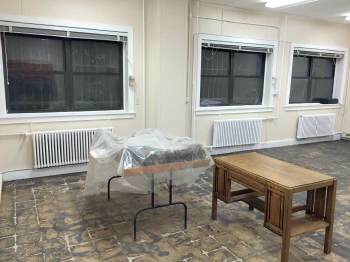 Here's the finished paint job in the Museum room. 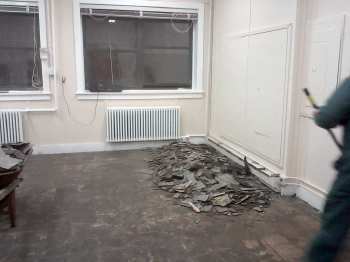 Next we start work on the carpeting. Then we can start to bring in the library and display layouts. 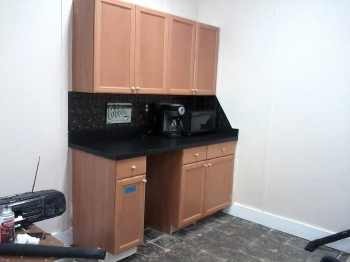 The coffee area has finally had the drop cloths removed and we can start to make a fresh pot of coffee. 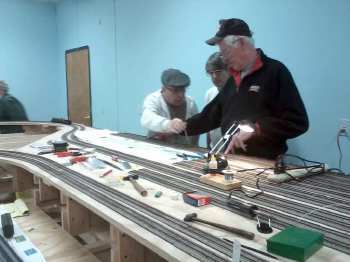 Back in the Layout room, wiring continues. 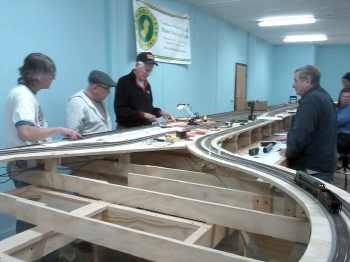 Tommy, Jimmy and Bob are plotting out the end of the blocks. Jimmy, Tommy, Bob and Ron look over the feeder wires that are being fed to George down below. The workshop got its final touches and has been finished. 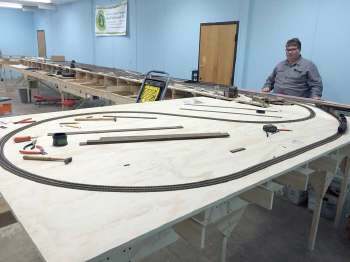 All that's left is to lay out the test track on the shelf on the right side. 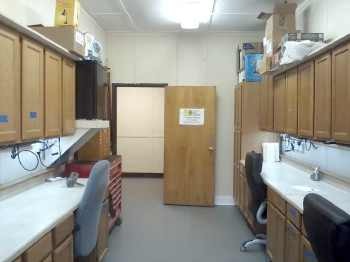 We've already started storing supplies on the shelves above the cabinets.